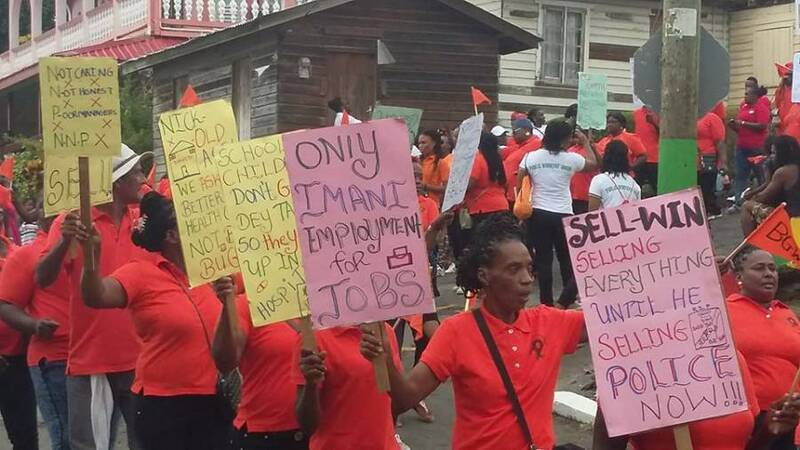 Kenny James, President of the Grenada Trades Union Council, likens the Government New IMANI training project as a new form of exploitation and slavery. Addressing the 2016 May Day rally which was held at the Fond Playing Field in St Patrick, he said that the use of IMANI trainees as workers can amount to a new form of exploitation and slavery. “These are trainees and should not be used as regular workers. Additionally, the idea of them working in a post for someone and receiving less money than the other worker who holds the job permanently is deemed wrong,” James told the hundreds of workers who had braved the inclement weather to attend the event. 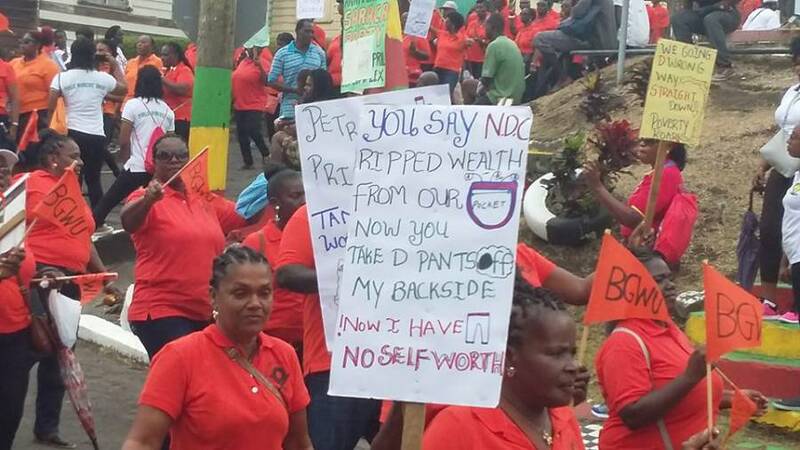 Claiming that “contract work” has become the new norm for Government and other employers — James was of the view that in some instances contract is understandable because the Grenada Labour Code provides for such job opportunity. 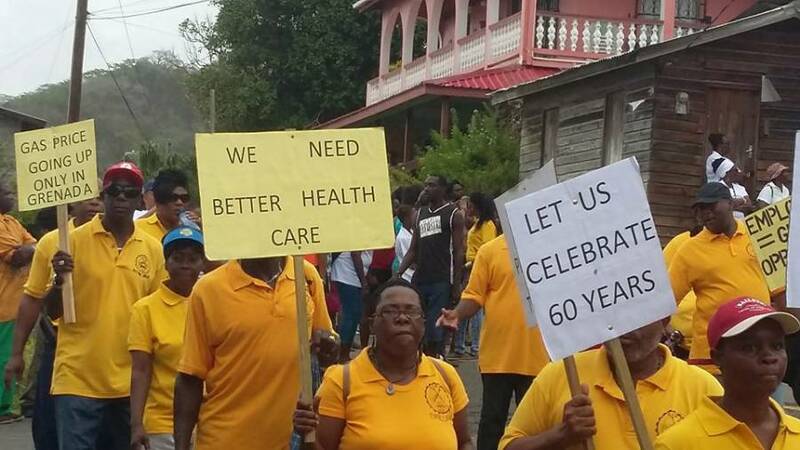 Also addressing the workers who marched with placards highlighting many of the social issues from McDonald College to Fond, was Labour Minister Elvin Nimrod. He told the workers that the lack of motivation in the public service remains one of the gravest barriers to motivation, and Government is working assiduously to bring a conclusion to this “very trying problem”, to which the workers in attendance responded with loud boos. Continuing his speech, the Minister referred to the recent disclosure that Government will be hiring some hospital staff on a contract, but by the time he completed the sentence, the workers were again booing the minister even louder and for longer. “These nurses and assistants would be receiving an income, as well as experience on part-time bases. This, in turn, will mold them into more employable people,” he justified, amidst the uproar. As expected with tradition, all the Union leaders addressed the May Day rally before workers gathered at various locations for individual union May Day fetes.